For obvious reasons( such as geographical ones) the close ties between Somalia and Yemen are a well covered historical fact. Adding to that that most Yemenis just like their Somali brothers on the horn belong to the same religion and even school of thought (Shafi’is) and sometimes even to the same tribes and clans, hence it is no wonder that the relationship between these two lands are not a secret to anyone who knows a bit about these two countries. However, next to the (mainly Yemeni) Arabs the Somalis encouratered another people, non-Arabs, the Persians. From the times of pre-Islamic Persia till pthe re-Safavid (Most Persians and other Iranian tribes were forced into Twelver Shi’ism by the Safavid dynasty in the 16th century AD) Sunni-Shafi’i one, Persians always had close ties to Somalia, they traded there, spread the religion there (Shafi’i school and sometimes even settled there (at the coastal cities). AL-A’MASH (61-148 AH), from Ray (Tehran), can you imagine? Another gem of Persia, even many Arab scholars are not aware of the lineage of this giant of a man until they read up his full name and nassab/lineage that containts one of the most obvious Persian names, no Arab would ever carry, even if he was a Zoroastrian Arab (yes, there were some Zoroastrian Arabs, particularly before the Fath of Persia). Like many other Persian he was a mawla (client) of an Arab tribe, but his origin has been recorded in history. سليمان بن مهران ، الإمام شيخ الإسلام ، شيخ المقرئين والمحدثين أبو [ ص: 227 ] محمد الأسدي الكاهلي ، مولاهم الكوفي الحافظ . أصله من نواحي الري . فقيل ولد بقرية أمه من أعمال طبرستان في سنة إحدى وستين وقدموا به إلى الكوفة طفلا ، وقيل : حملا . ulayman Ibn MEHRAN, the Imam, Shaykhul-Islam, Shaykh of the Qur’an reciters (!) and Muhaddithin (!). He was originally from Ray (located today in Iran’s capital, Tehran. It is also said that he was born in a village in Tabaristan (north Iran, today’s Mazandaran), then as a young kid he moved to Kufa/Iraq. Abu Ja’far Muhammad ibn Jarir al-Tabari (Persian: محمد بن جریر طبری, Arabic: أبو جعفر محمد بن جرير بن يزيد الطبري) (224–310 AH; 839–923 AD), was a prominent and influential Persian scholar, historian and exegete of the Qur’an (known as the IMAM of the Mufassirin) from Tabaristan, modern Mazandaran in Iran, from the city of Amol. A polymath who on such subjects as poetry, lexicography, grammar, ethics, mathematics, and medicine. Amongst his teachers were Abu Abdillah Muhammad ibn Humayd al-Razi, another Persian giant of knowledge, a Hadithists from Ray (today’s Tehran which used to be a stronghold of many Ahl al-Hadith!). Amongst his teachers was also Muhammad bin Dawud al-Zahiri, the founder of the Zahiri Madhab who was from Isfahan (heartland of Persia!). Unknown to many: Imam al-Tabari wa well-versed in four of the five Sunni legal schools (except the Hanbali school with which he had a lot of differences) before founding his own independent, yet eventually extinct, school, the Tabari Madhab (that did not reach us just like many other Madhabs). Imam al-Tabari is not to be confused with another Persian al-Tabari, namely Muhammad bin Jarir bin RUSTUM. Rafidis usually misuse the narrations of the Rafidi one (ascribing it to Imam al-Tabari). He is one of the most influencial Sunni scholars ever, his Tafsir is amongst the most ancient Tafsirs available, a gem of Persia who enriched the Ummah like many other Persian Sunni scholars. 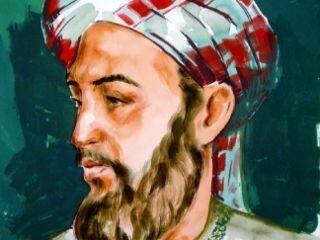 He died in Baghdad on February 17, 923. May Allah have mercy upon him. 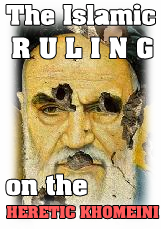 Two Sunni converts may face death penalty in Iran – The Neo-Safavid’s fear of mass-conversions to Sunnism! Two men from Iran’s Ahwazi Arab minority who were active in preaching Sunni beliefs after converting from Shi’ism to Sunni Islam have been charged with ‘causing corruption on earth’, a charge which carries a possible death penalty in Iran. According to the indictment issued by the Public Prosecutor of Mahshahr city, 23-year old Hossein Saboori and 25-year old Sami Zebady Alboghobesh, have also been charged with ‘having contact with foreign [Sunni] political organisations’ and ‘having Salafi beliefs’. Rafsanjani: Shiism by as represented by Iran herself in the past creates extremism! Some people need to stop whinning and always playing the victim role (claiming that Shias are being targeted around the world for no reason whatsoever except for being Shias). Ayatullat Hashemi Rafsanjani (he knows exactly what the lunacy of his sect leads to) admits that the extremist culture of Shiism which is based on pure hatred and particulary the cursing of the most beloved religious figures of the Muslim Ummah (nation), are one of the main causes for the very birth of extremist groups (who then in return target Shias). 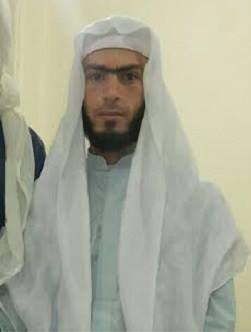 A Sunni convert from Iran’s Ahwazi Arab minority was beaten and taken to an unknown location by Iranian security forces after his arrest last week. 27-year old Amin Mogheinemi was beaten in front of his family by agents from the Ministry of Intelligence who raided his home in Malkiya Allyeh in Ahwaz on 23 October 2014, before being taken to an unknown location. 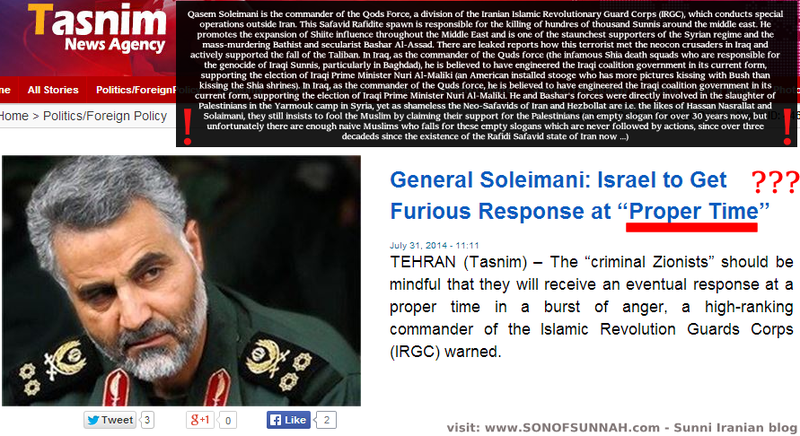 The Arabs of Iran – Sunnis or Shias? Out dated Iranian gov. sources (and CIA sources) give a roughly estimate of 1-2 million (2-3% of the entire population). Some extremist Arab groups (particularly Ahwazis) represent the other side of the extreme, claiming there are 10 million Arabs in Iran. The truth seems to be somewhere in the middle (or close to it), for according to some independant sources there is an estimate of 3-5 million Arabs living inside Iran. 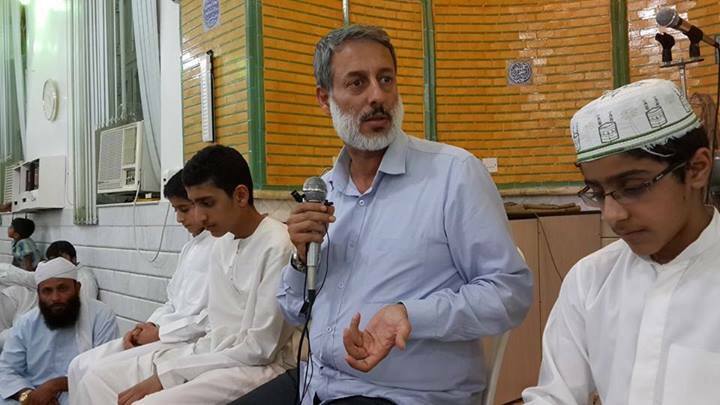 Sunni Muslims were barred from holding congregational Eid prayers in parts of Tehran yesterday, with security forces preventing them from entering buildings they had rented for prayer. 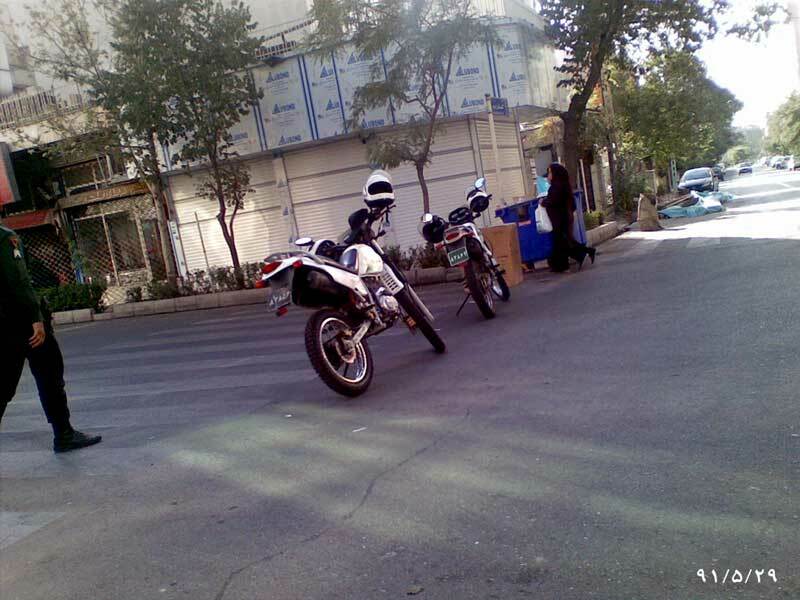 Security forces were deployed early in the morning around Sunni prayer sites in parts of Tehran on 5 October 2014, the day Iran celebrated Eid al-Adha, and prevented Sunni Muslims from entering prayer sites in the Sadeghiya district in northwest Tehran, and in Sa’adat Abad, north Tehran. 1. Khorassani Persians – The Iranian province of Khorassan in east Iran is home to Khorassani-Persian Sunnis. Even Mashad (which is just next to Neishabur, where Imam Muslim is buried) has a Sunni minority. 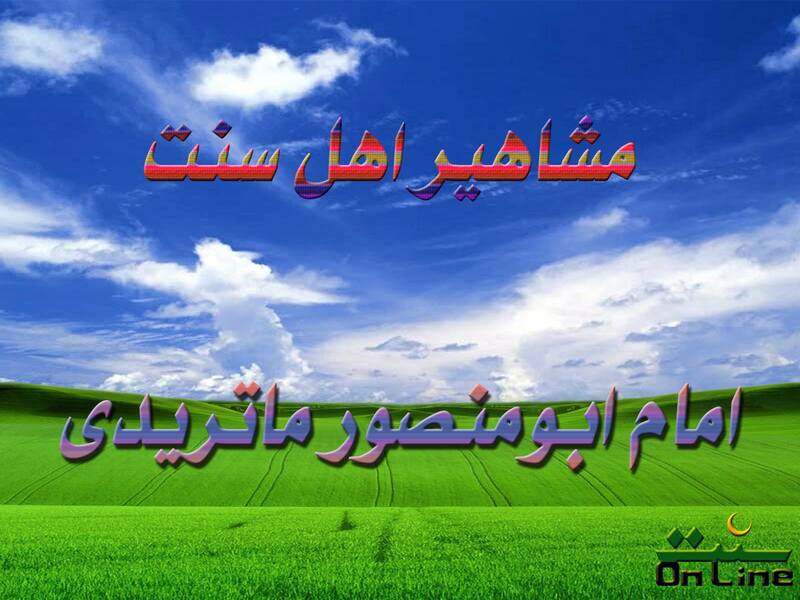 Some cities in Khorassan of Iran are even majority Sunni (like Birjand and Torbat-e Jam). Khorassani Persians are Hanafi Sunnis and culturally (and of course by language) no different to their fellow Persians in Isfahani, Tehrani, Shirazi etc. 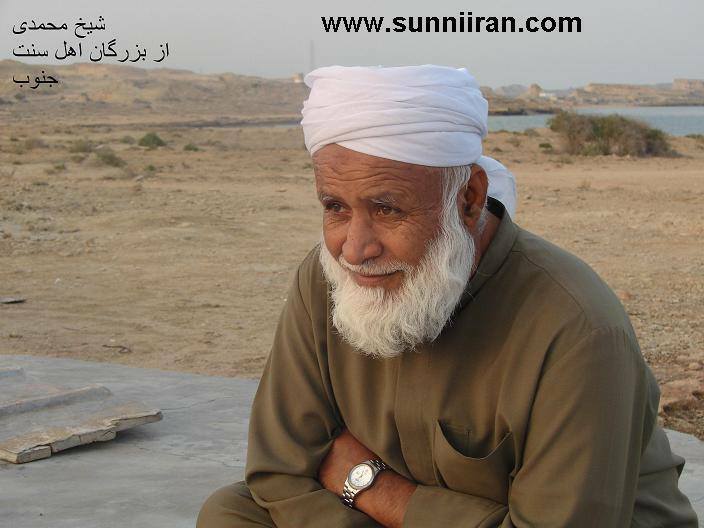 Shaikh Mohammad Saleh Pordel is an ethnic southern Persian from the Hormozgan province. He (like the majority of the NATIVE Persians in the south) is Sunni adhering to the Shafi’i school of thought. He’s the student of the late great Shaikh Mohammad Saleh Ziyaie (one of the first Iranian students of the Madinah University), may Allah have mercy upon him. 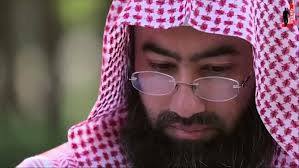 Shaikh Pordel is well known and very beloved in the Iranian Sunni community, he is even known in Afghanistan and Tajikistan (where he appeared on state TV, yet the national TV of Iran never reported about him, let alone having him have a single appearence or show on national TV). 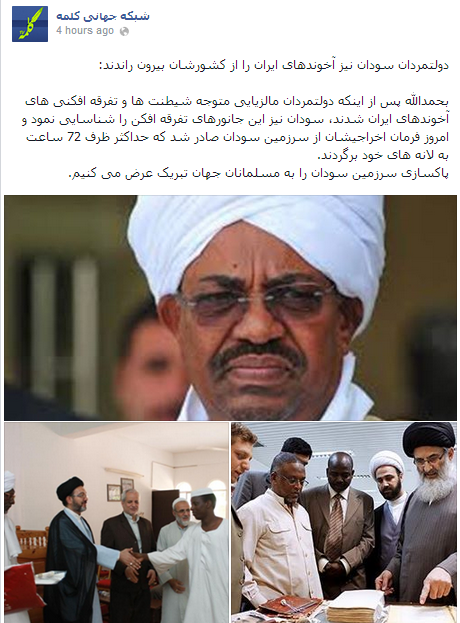 So far – and Allah praise is due to Allah – he managed to avoid any trouble with the Iranian Shia authorities, one reason might be that he is an extremely influencial and beloved figure in the southern Persian Sunni community, also he is not politically active at all, and he does not travel to Shia areas, so that might be one of the reasons while the Iranian regime haven’t imprisoned him or assassinated (like in the case of his Shaikh Ziayie who was found mutiliated in the deserts!). May Allah preserve Shaikh Mohammad Saleh Pordel and all the Muslims and Ahl Al-Sunnah in Iran and around the world. Were all the six Masters of Hadith originally Persians? Many extremist Shias try to turn the tables by saying that Sunnism (and not Shi’ism) has been heavily influenced by Zoroastrian (Majoosi) Persians. This is due to the misconception that all (or many) of the most famous Sunni scholars of the early Muslim generation were ethnic Persians. 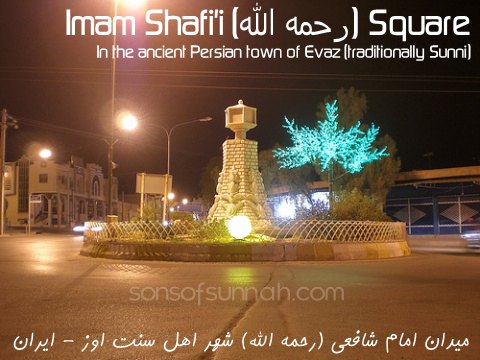 This assertion is wrong, since those who accuse the Shi’ite sect of being a Persian-Zoroastrian project due not do so due to the fact that the vast majority of modern day Shi’ite scholars (and Shi’ites in general) are Persians, rather due to the fact that Twelver Imamite Shi’ism does indeed carry elmens of Zoroastrianism and Pre-Islamic Sassanian hatred for Arabs and the early Muslim generation, see HERE and HERE and HERE and HERE and HERE and HERE. 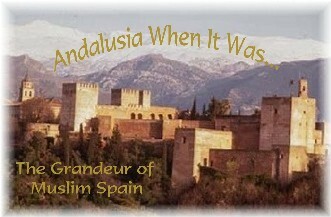 The reality is that most early Muslim scholars, in particular the four Imams of the Sunni schools of thought were all Arabs (even the Persian origin of Abu Hanifah is hugely disputed by Hanafi Sunni scholars), even the the Six Masters of Sunni Hadith were not all ethnic Persians as widely circulated on the net. But even if they were, it wouldn’t change anything nor would it make Sunnism “Iranian” for all classical Sunni scholars were raised in an Islamic environment with no interest in Zoroastrianism or Pre-Islamic Iran whatsoever (unlike the Safavids and the Shi’ite clergy of that time that reviced Persian nationalism and even Zoroastrian elments under the guise of Shi’ism). At that time concept of nation was very differant. It was this Islamic environment that despite it flaws (under some tyrannical rulers) gave everybody, including Persians, the opporunity to excell and become jurists, exegetes, physician etc. Personalities that Pre-Islamic Iran (with it’s caste system that was much worse than some Anti-Persian policies of some Umayyads) had never produced and Post-Safavid Iran has never re-produced. In a scheme of Islamic history which is dominated by Arabo-centrism and in a contemporary world in which the association between Iran and Shi’ism is so central that one cannot think of one without the other, this fact of the Persian origin of some of the most important figures of authority in Sunni Islam becomes increasingly relevant in challenging the dominant narratives and assumptions which continue to pervade the historical understanding (and contemporary vision) of Islam and Iran. Arab Iranians (not Ahwazis) from the coastal region of Iran (Khaleej) in the town of ‘Asaluyeh (100% Arab Sunni-Shafi’i with a minority of Persian Sunni Shafi’is who mostly hail from the southern Persian provinces) in a Qur’an competition which is held in Arabic only (everything in those native Arab towns in south Iran looks like the rest of the Khaleej. People, cloth, accents etc. There are a few prayer houses (Namaz Khaneh, there is NOT a single visible Sunni Mosque) in Tehran (yet the devilish Iranian Shia media such as PRESS TV and other notorious liars claim there are Mosques for Sunnis in Tehran!) but even they are being raided and the Sunnis of Tehran (LARGEST religious minority of Tehran) are harrassed on a regular basis. There are over 40 (!) churches in Tehran, over twenty Synagoges, Zoroastrian (Majoos) temples (even Zoroastrian highschools!) and even a SIKH temple in Tehran. Jews have their OWN private hospitals, yet Sunnis are not allowed to own a SINGLE proper visible Sunni Mosque (the Shia authorities are scared to death of authentic Islam, they know it will attract the masses who – particularly in Shia cities – know nothing about Sunni Islam except what they are being told by the biased and secterian Shia clergy), Sunnis are not even allowed to own a bookshop, let alone a Mosque! Who is more oppressive? Washington, Moscow and Israel or the secterian Iranian Shia Republic of Iran? Keep in mind, no matter how unjust the former are, at least they allow their citizens to build Mosques (for Shias and Sunnis alike! ), whereas Tehran is the ONLY major capital of the world where Sunnis can’t perform their religious rights behind one of their Imams i.e. 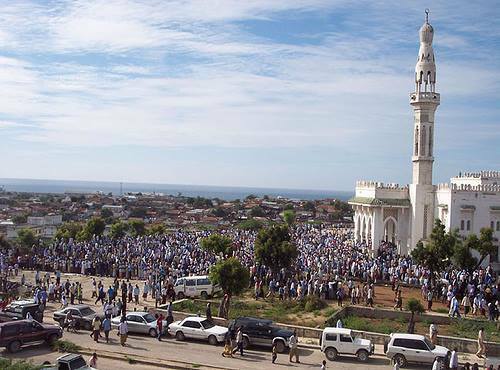 they don’t own a SINGLE Mosque! 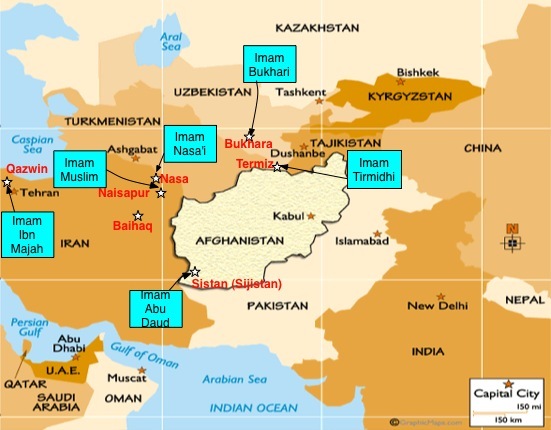 Iran not only welcomed but actively supported the US invasion of Afghanistan and excitedly participated in US-backed international efforts to establish a new Afghan government in Kabul. Later it played a significant role in the US invasion of Iraq and shaped the post-Saddam Hussein political atmosphere with the US. Though the alliance between the “Great Satan” and a member of “the Axis of Evil” was more or less hidden from broader media and public discourse it’s agenda is now out in the open. Everything about the secterian Shia Rafidi regime of Iran is hot air. 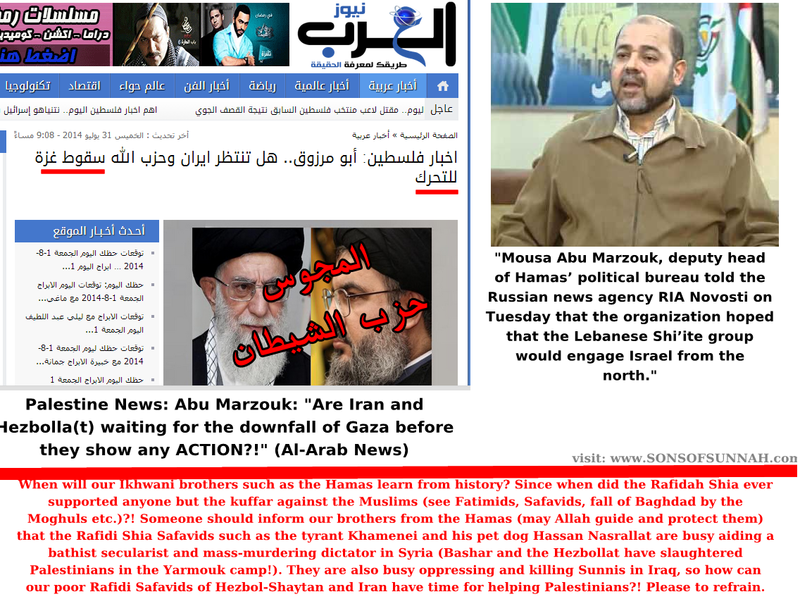 They claim to support Palestine yet in reality they are actively fighting and killing Sunnis (not just the so called terrorists) of Syria (including Palestinians who were slaughtered by Hezbollat and Bashar gangs in refugee camps) and Iraq (all under the pretext of fighting ‘Takfirists’ yet both revolutions, in Iraq and Syria were started off by native Sunnis!). 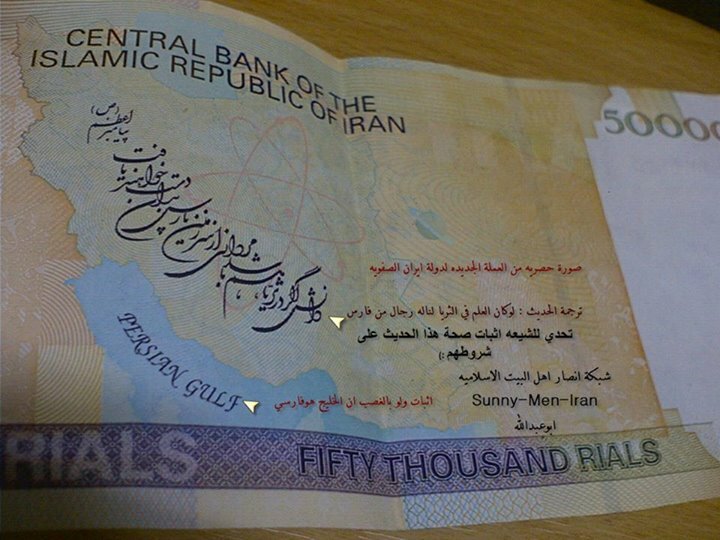 As for Iran’s strength, let us remind you with this funny but sad and true realty. 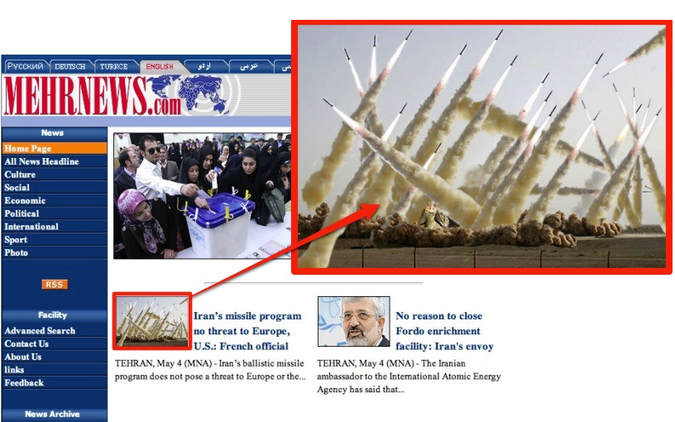 As you can see, Iran’s military power is basically a bunch of photo shopped, reverse engineered antiquated stuff, which the US and Israel gladly use to portray Iran as “regional power”! And the insecure illiterate Mullahs take pride in that characterization to further delude themselves. It’s really sad and tragic, but both sides need the show too justify their existence. Qasim Sulayman’s empty threats and the illusion of Hamas and co.
By Allah, you will fight not a single nation as treacherous and hypocritical as the Rafidi nation. Hundreds of Palestinians have been slaughtered in this summer 2014, yet all Iran and Hezbollat is doing is what they are best at i.e. barking and shouting empty slogans. The slaughtering of Sunnis is no appropiate time to stop shouting slogans and actually show some actions? The Iranian security forces raided a Sunni mosque on Monday during Eid prayers in Sanandaj, Kurdistan province of Iran. 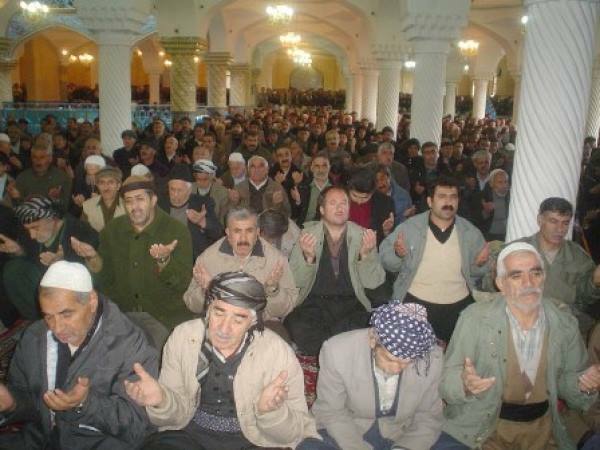 The mosque, located in the town of Kani Kozaleh in Sandandaj, was raided by the security forces whilst worshipers were performing Eid prayers. There are reports that security forces were also deployed in other parts of the city to prevent Sunni Muslims from holding Eid prayers in several Sunni mosques across Sanandaj.